Protects against damage from weather. 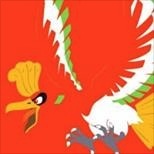 The foe is blown away, to be replaced by another Pokemon in its party. In the wild, the battle ends. This is a good moveset for mandibuzz (Pokemon #630) with the overcoat ability/trait, a Careful nature, and equipped with Leftovers submitted by 4rmLegendOona. For use in competitive Pokemon battles featuring an Export option and breeding guide.